His car exploded on a downtown street. A prominent journalist Pavel Sheremet died in Kyiv on 20 July morning as a result of a car bomb blast, Ukrainska Pravda reported. The car exploded at the corner of Bohdan Khmelnytsky and Ivan Franko streets in front of the restaurant McDonald's. This car belonged to the head of the UP Alyona Prytula, who was not in the car. The explosion occurred at 7:45 am when Sheremet left the house and drove a few tens of meters. Police is working on the scene. Sheremet has lived in Kyiv for five years, worked in the Ukrainska Pravda on the radio Vesti. The head of National police Khatia Dekanoidze arrived at the scene. "Pavel Sheremet was a good friend of mine. He was the first person to whom I gave an interview, he was a very good journalist, for me it is a matter of honor [to solve this crime]," Dekanoidze told UP. She said she had no versions as yet. "But we are working to find out what happened," she said. Pavel Sheremet was born in Minsk on November 28, 1971. He worked in Belarus, Russia and Ukraine. Her came to journalism from banking business. 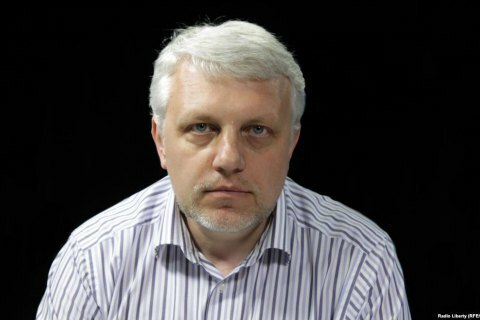 Since the mid-1990s Sheremet has worked in the Russian First Channel (then ORT) first as a special correspondent and then as an anchor of news programs and documentary filmmaker. Recently Sheremet has lived and worked in Ukraine. He was 44 years old.